The Liberty 2 in. 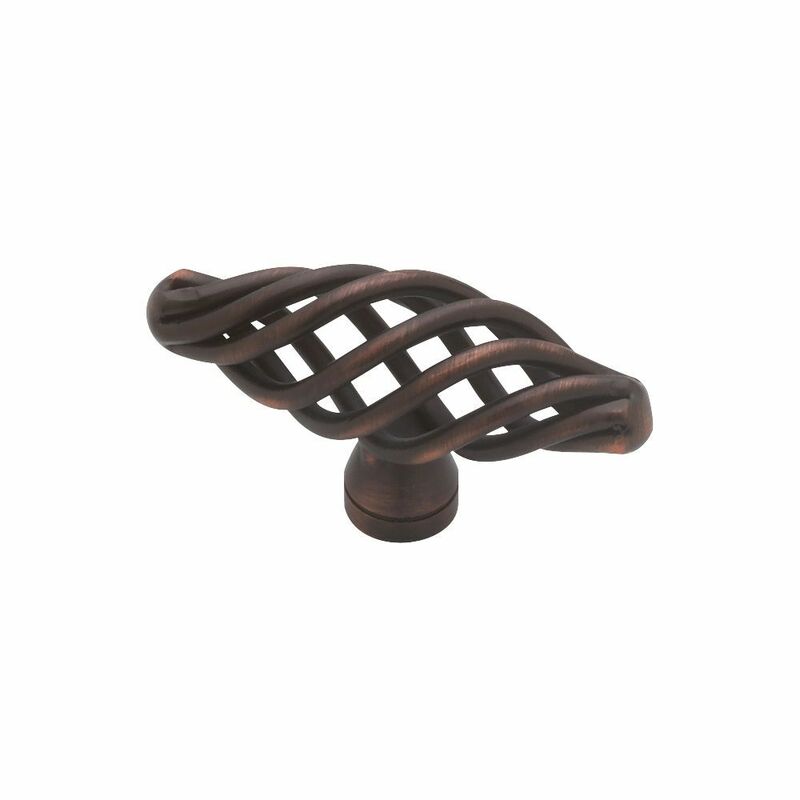 Bronze with Copper Highlights Small Oval Birdcage Knob includes hardware for easy rear-mount installation. The steel construction has a rustic bronze finish with copper highlights for an attractive appearance. Includes hardware for easy rear-mount installation. From Liberty Hardware, the Lindley Knob is a simple design that will complement casual or rustic style cabinetry or furniture. Crafted from die-cast zinc for long lasting quality and durability. Installation hardware is included and multiple finishes are available. Knob, Small Oval Birdcage Design, 50mm The Liberty 2 in. Bronze with Copper Highlights Small Oval Birdcage Knob includes hardware for easy rear-mount installation. The steel construction has a rustic bronze finish with copper highlights for an attractive appearance. Knob, Small Oval Birdcage Design, 50mm is rated 4.8 out of 5 by 76. Rated 5 out of 5 by HomeDepotCustomer from easy to install!... easy to install! Rated 5 out of 5 by Marjorie from Made my cabinets look upscale..... Made my cabinets look upscale.. Rated 5 out of 5 by Deb from Easy to install, looks awesome!!... Easy to install, looks awesome!! Rated 5 out of 5 by Pam from Looks perfect on our dark cabinets. Good quality finish.... Looks perfect on our dark cabinets. Good quality finish.